Federal car fuel economy standards are designed to get stricter as time goes on. 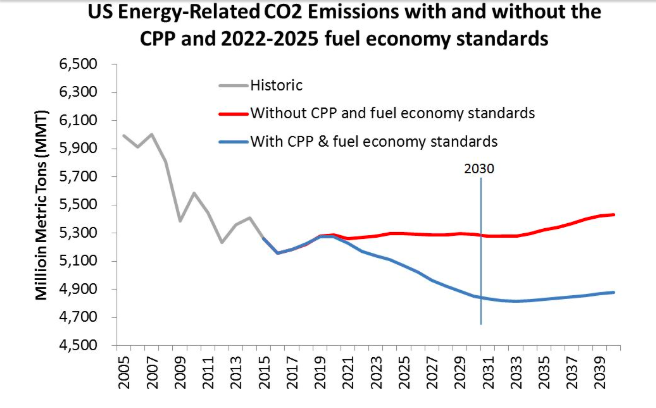 The next step in the regulations would cut auto carbon emissions in half by 2040. EPA is proposing to freeze them at today's level. California has a waiver that allows them to have stricter rules than the federal ones. The EPA wants to take that away. The Clean Air Act allows other states to adopt California’s tougher standards. Thirteen states and the District of Columbia do this. They collectively make up over 40% of the US motor vehicle market. California effectively determines the standards for the whole auto industry and allows the country to keep progressing even if the feds put on the brakes.